Iodine is essential for healthy thyroid function and is the primary nutrient that serves as a building block for your body’s ability to manufacture thyroid hormone. It is especially important that pregnant women have sufficient iodine, as pregnancy greatly increases the need for sufficient iodine. 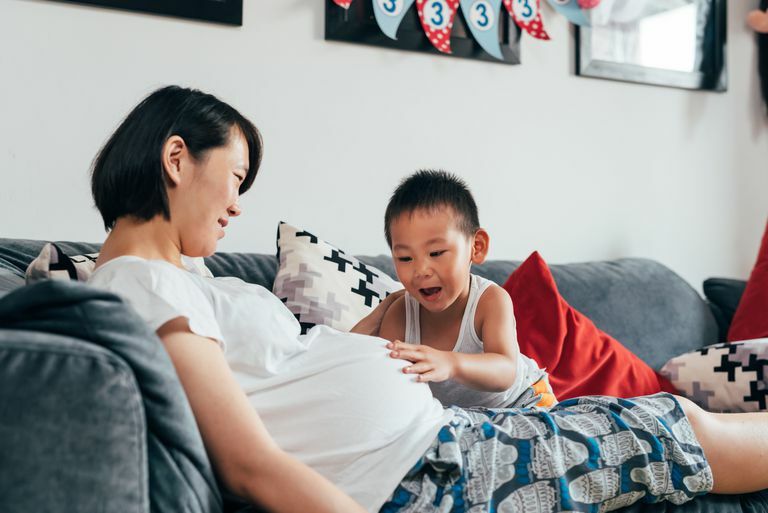 Insufficient iodine in a pregnant woman, especially during the first trimester, can have serious effects on the health of both mother and baby. Severe iodine deficiency in a pregnant woman can impair a developing baby’s neurological development and is linked to a condition known as cretinism in children. Around the world, iodine deficiency in pregnant women is a major public health challenge, and iodine deficiency is considered to be the leading preventable cause of mental retardation and intellectual impairment. Due to iodization programs and iodine added to processed foods, the United States is not considered to have a serious iodine deficiency problem. Studies have shown, however, that in the United States, there is a worsening trend toward mild iodine deficiency among pregnant women. To that end, a number of organizations—including the Endocrine Society, the American Thyroid Association, and the American Academy of Pediatrics, among others—have formalized guidelines recommending that all women receive a daily prenatal vitamin that delivers 150 μg of iodine daily, and that this should take place before conception, during pregnancy, and while breastfeeding. A study published in early 2017 evaluated the awareness of iodine nutrition among obstetricians and midwives in the United States. The goal of the study was to identify how these practitioners are handling the recommendations regarding iodine supplementation in the women they care for, from preconception through breastfeeding. The e-mail survey was sent to 5,220 midwives and was opened by 350 (6.7 percent). The survey was sent to 21,215 obstetricians and opened by 2,524, or 11.9 percent. Ultimately, 3.6 percent (189) the midwives and 1.2 percent (258) of the obstetricians responded to the survey. While the response rate was low, the researchers stated that demographically, the survey was representative across ages and geography, leading the researchers to believe that the response rate was substantial enough upon which to draw key conclusions. Only 33 percent of the obstetricians and midwives surveyed felt that iodine status in pregnant women in the U.S. was deficient. Almost all the obstetricians and midwives recommended prenatal vitamins to patients, but approximately 70 percent said of those surveyed they rarely or never recommended that those prenatal vitamins include iodine. Among those who recommended supplemental iodine before, during, or after pregnancy, less than half—45 percent—recommended the 150 μg of iodine daily during pregnancy that has been established by the guidelines. To summarize, around 75 percent of the obstetricians and midwives surveyed are not recommending for iodine at all, or are recommending an inadequate amount of iodine for their patients during preconception, pregnancy, and lactation. Clearly, there is a routine failure for midwives and obstetricians to recommend iodine supplementation to women prior to or during pregnancy, and after pregnancy when breastfeeding. Unfortunately, almost half of the respondents also incorrectly believe that women in the U.S. have adequate iodine status. As many as 33 percent were unaware that maternal iodine deficiency is a danger to a developing baby. This lack of information, and a failure to follow recommended guidelines may be compromising the neurological health of children born to iodine-deficient mothers. According to the Council for Responsible Nutrition (CRN), only about 15 to 20 percent of pregnant and lactating women are taking a supplement or prenatal vitamin that contains an adequate amount of iodine. Whether or not you have a diagnosed thyroid condition, if you are a woman planning to become pregnant, or if you are pregnant or breastfeeding, experts recommend that you ensure that your daily prenatal vitamin includes the recommended 150 μg of iodine. Note that it’s not enough to take any prenatal vitamin. Many brands—including those that are prescribed by physicians—do not include iodine. You will need to check labels carefully to ensure that the brand you are buying over the counter or being prescribed by your physician includes the recommended amount of iodine. Note: Kelp supplements, while they contain iodine, may not provide a consistent dosage, and are not the recommended source of iodine for women before, during and after pregnancy. Alexander, E, Pearce, E et al. “Guidelines of the American Thyroid Association for the Diagnosis and Management of Thyroid Disease during Pregnancy and the Postpartum. ”Thyroid. January 2017, Advance publication online, ahead of print. CRN Recommended Guidelines for Iodine Quantity in Multivitamin/Mineral Supplements for Pregnancy and Lactation. de Escobar DM, et al. “Maternal thyroid hormones early in pregnancy and fetal brain development.” Best Pract Res Clin Endocrinol Metab 2004;18:225-248. Leung AM, et al. “Iodine Content of Prenatal Multivitamins in the United States.” NEJM 2009;360:939-940. Simone, D, Pearce E., and Braverman L. “Iodine Supplementation in Women During Preconception, Pregnancy, and Lactation: Current Clinical Practice by U.S. Obstetricians and Midwives.” Thyroid. December 2016, ahead of print. doi:10.1089/thy.2016.0227.